Tidelag proudly presents to you, the glorious PULP Fortress Games. and yes I used ms paint. The PULP games will be a series of different cups that everybody can join and fight for custom hats, titles and honour of course. 1vs1 Sniper: Let's once and for all settle who is the best sniper around here, we all know it isn't Vital. 1vs1 Soldier: This does not need a further explaination. 2vs2 Scout: Who the best scout is hard to settle one on one. That is why it will be two scout pairs fighting eachother. So team up with somebody and face the challenge. 2vs2 bball cup: Perhaps the most interesting cup of them all. Who will be best at both airshotting and handle rocketjumping with accuracy? All these will be played on approporiate maps fitting the playstyle. When the will take place is not yet decided. This topic is more about checking if there is any interest our there. Have you got any suggestions? Feel free to share. sign me up for bball and i guess scout...i bball is a used to play lol. IDK if I want to participate but I feel like we're gonna need some colour commentary on Source TV, I'd volunteer for that with someone else. I'm down for scout, although i have a high ping. Just for fun. Because I'm a choke artist in 1 on 1 competition. I need a team. Also I don't want to make the noobs cry. How about some Hide and Seek? One to three pyro(s) has a time limit to find X amount of camp and dagger spies. I've played it before on a different server and it was hilarious. I used to stand a pretty good chance of stomping most of ya'll ('cept the new peeps, I dunno 'bout you guys), but I'm so rusty that even with projectiles I'd pro'ly just make a fool of m'self. P.S. : Tidelag, save your pictures as .png next time; .jpg lossiness disgusts me. Ahh im not gonna do scout then BUT ILL BE YOUR BBALL PARTNER! Me and greezy are a bball team. Lol fine, I'm only doing bball. I'll do all of them for giggles and shits, but also for serious. Wth, this isn't a sign up page. I'll create seperate topics in the event section later. Nice to see there is interest though. 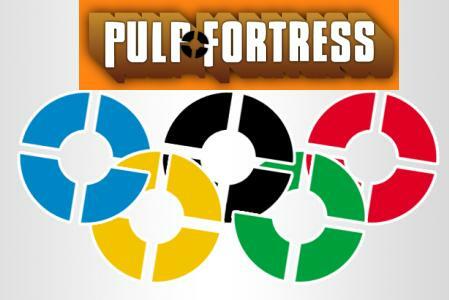 I stole the tf2 olympic rings, but shh. Do you want these cups to be one night events or just be keap running over a week or so, so that more people can take part? sorry miht i already signed up :/. I mean unless rusty would rather you be his partner. its his decision. *sigh* Rusty and I are teammates...I doubt that is changing. I'd play Soldier for this. The number of rounds should be spread across one or two weeks depending on how many contestants there are. Greezy or I will win the airshot competition.